Charters 30' Cutwater 302-Coupe "Why Knot"
Call today to reserve your charter vacation aboard Why Knot! The Cutwater 302 Coupe takes the comfortable cruiser-friendly interior layout of the C-30 and adds the versatility and speed of twin counter-rotating 300 HP Suzuki Outboards, which push its double-stepped hull effortlessly across the water. 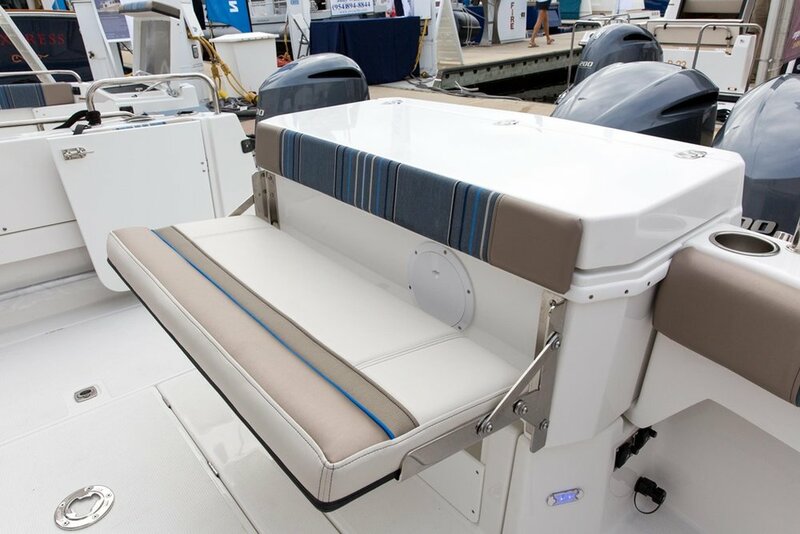 The Cutwater 302 Coupe cockpit is perfect for fishing with its large square footage, 30 gallon live well, large fish boxes, rod holders, rocket launchers, and sink. Once you've caught dinner, food prep is a breeze with the Euro-style galley, which is ideal for buffet or refreshment service. 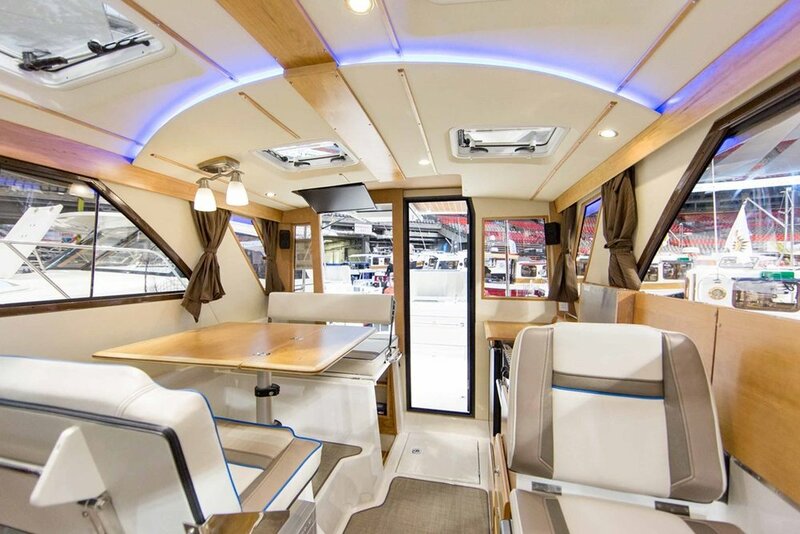 The cockpit is easily converted for entertaining with plenty of seating and an electric Kenyon BBQ Grill. "Why Knot" accommodates five on three separate berths, for exceptional privacy and comfort even on extended cruises. On the foredeck, two flush hatches open to reveal cushioned, secure observation seats, along with a central forward lounge. Call to reserve your time aboard "Why Knot" today!